Editor in chief of 360 magazine Molly Bolan ’19 and the magazine staff had a special idea for the latest edition of their magazine. They wanted to focus the entire edition on the history and culture of indigenous people and highlight indigenous students on campus. But before they got started they needed help to make sure it was authentic and respectful. 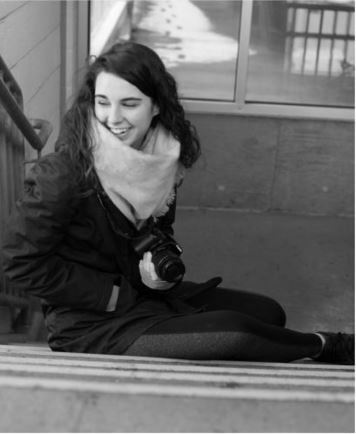 Magazine staff members reached out to Kacey Chopito ’18, president of the Indigenous Students at Syracuse, to see if they could collaborate on the spring edition of the magazine. Chopito and members of the student group were quickly on board with the idea—excited and appreciative of the opportunity. Bolan first came up with the idea for the edition after hearing the introductory words that opened an event last fall in Maxwell Auditorium. As part of the short-term recommendations by the University-wide Chancellor’s Workgroup on Diversity and Inclusion, the statement was developed in 2016 to acknowledge that the University sits on native land. The University distributed the statement to event organizers across campus for use at major public events on campus. Bolan pitched the idea to the magazine staff last fall, but their stories were already underway and they decided to keep it in mind for their spring edition. In the spring, it was a go and they made sure to reach out to the other student organization. After hearing back from Chopito with the positive response, the magazine staff and members of the Indigenous Students at Syracuse group met to brainstorm and review ideas. 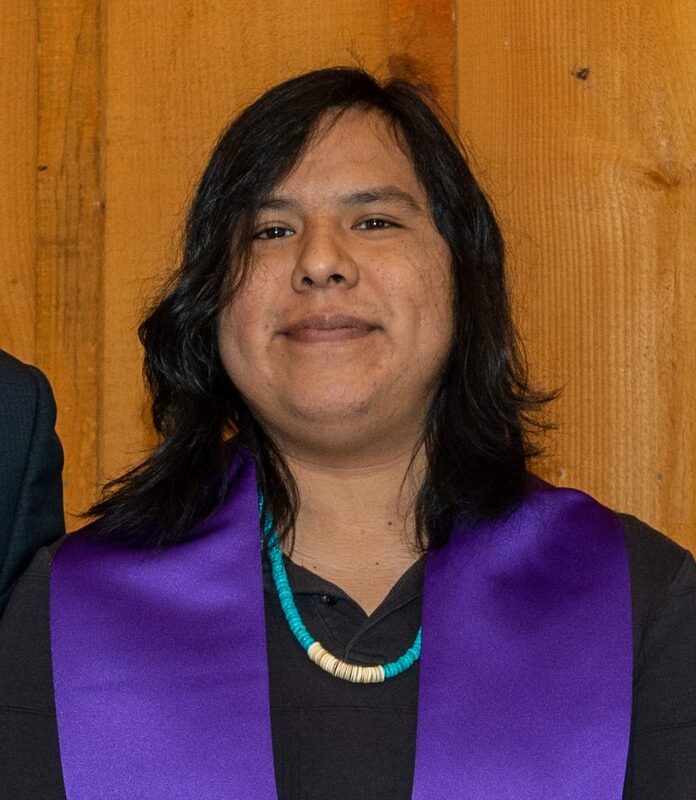 “We had students come and talk about stories that they would like to see published and what they thought would be faithfully representative of what they wanted to say to the campus community,” Bolan says. A story list was hashed out and included ones written by indigenous students and about indigenous students. 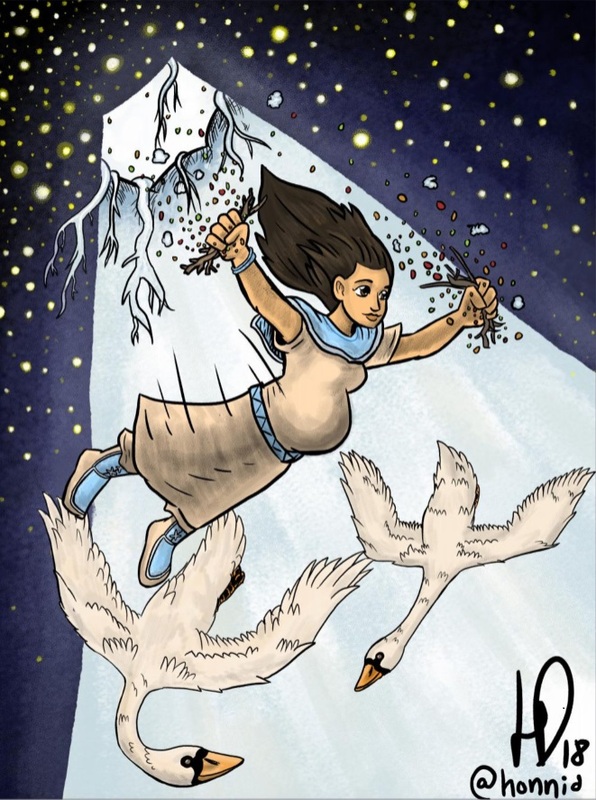 Content includes profiles on two indigenous students; a local Onondaga Nation activist; and a telling of the Haudenosaunee creation story, with an illustration by a former indigenous student, Honni David ’17. 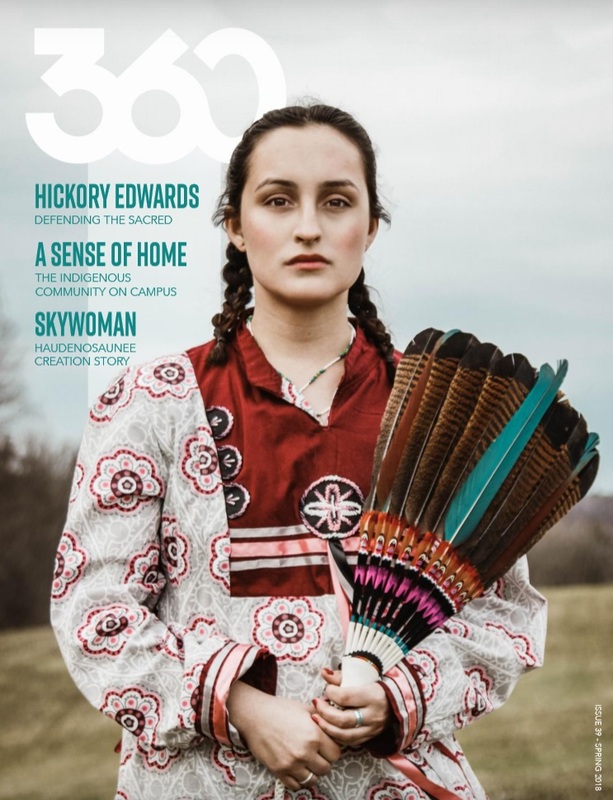 Both the collaboration with the 360 magazine staff and the opportunity to educate others on indigenous cultures were important to the Indigenous Students at Syracuse group. “This was a moment for us to share our history with the campus in collaboration with 360,” Chopito says. Chopito contributed a piece on the history of indigenous and U.S. relations, something he’s researched and shared for most of his life. Bolan and Chopito were excited about how it all came together and received a lot of positive feedback on the edition from students and professors. The experience had a lasting impact on Bolan.